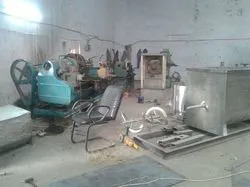 Established in the year 2005, Ylemparto, New Delhi is included amongst the industry leading manufacturer, trader, and exporter entity exhibiting technical expertise in its developed Processing Plant,Waste Recycling Plant And Acrylic Emulsion Resin Plant and much more. Our leading position in the industry is backed with the beneficial product range that is widely obliged in the industry for its sturdy design, accurate and precise performance, hassle-free operation, reliable performance and maintenance-free service life. Our concept is to gain a competing advantage to garner the client needs promptly and comprehensively. And, we do this by spending enormously in our information resources to examine the scope of innovation; which will enhance our product demands and will ultimately help us to expand our delivery network. We are focused on dispensing products within the allowed time frame and our state of art infrastructure performs the key role in obtaining the desired levels of operational effectiveness. Further, our associated vendor base and solid logistic support equipped us to accomplish the goals of the complete operational entity that serves the evolving client needs with guaranteed quality products. The strong industry expertise and avid character of our leader and mentor Mr. Suveer Anand are making it plausible to grow our business to the preeminent stature, where we can support the distinguished levels of total client satisfaction. Our purpose of attaining the operational distinction is supported by a spirit of progress which is aided through our well-integrated infrastructure. We believe that modern business scenario technology plays the pivotal role to initiate growth; we, therefore, have made tremendous investments in achieving latest machinery and devices at our state of infrastructure. 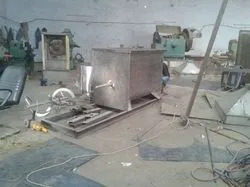 Our work set up is divided into manufacturing, quality control and distribution units, which are easily administered by technologically skilled individuals. Our team has with it experience of that allow us to flawlessly offer competent project management consultancy support as per the specific demands of the customers. Here, for achieving high efficiency in the delivered solutions, we closely work with clients and assist them in making smarter as well as effective business decisions. We owe our gratitude to the responsible group of people dedicating their best to earn distinguished levels of customer content. Our team members are supported with the resources of industrial knowledge and have earned extensive knowledge in this domain. Due to the intense endeavors of manufacturing professionals, trained technicians, warehouse managers and quality control analysts we are favorably outperforming the competition. Our goal to produce a respectable stature makes us liable to improve the clients’ expertise. Contemporary requests to product design and innovative implementation of technology are few aspects that have prepared us to transcend the complex business requirements. Moreover, the key strength of our industrial image is the domain expertise of our leaders guiding us to raise a client-centric business strategy with timely information. Our brand YLEM PARTO having lot of in depth technical products with quality assurance.